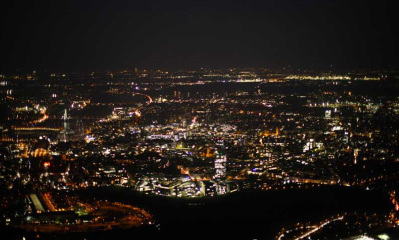 Concerning population, Cologne is the largest city in North Rhine Westphalia and the fourth largest city in Germany. As to area, Cologne is only slightly smaller than Berlin or Hamburg. It is made up of nine urban districts and a total of 85 quarters, known as "Veedel" in Cologne dialect.With its seven Rhine bridges and ten motorways, Cologne has an excellent transport system. Each day more than 1000 trains enter or leave Cologne Hauptbahnhof (main station). Over the last few years, the international Cologne-Bonn Airport has become the German hub for budget airlines and air freight, whereas the harbour has made it the second largest inland port location in Germany. No city can and should be divided from its history - taking a look at Cologne, the roots can be found almost 2000 years ago when Cologne was still in the hands of the Romans and called "Colonia Claudia Ara Aggrippinensium", making it one of the oldes cities in Germany. The 2000-year long history has had a strong influence on the cathedral city and made it what it is today - a vital and dynamic metropolis with a unique atmosphere. Cologne is one of the oldest large German cities and its name dates back to Roman times. The Romans founded the Ubii village on the Rhine in 50 AD and named it "Colonia". The imperial governors of Rome resided here and soon the town grew into one of the most important trade and production centres in the Roman Empire north of the Alps. The inhabitants left behind many traces of their culture in the town centre (see Romano-Germanic Museum and city map). After the tumult of the transition period, the town came under Franconian rule. In 785, Cologne was made an archbishopric by Charlemagne. The archbishops of Cologne, who were amongst the most powerful feudal lords of their time, were Chancellors for the part of the empire in Italy (11th century) and later electoral princes (14th century). In the Middle Ages, Cologne was the most densely populated and one of the most prosperous towns in the German-speaking region - in particular due to the pilgrims and trade benefits that the newly introduced 'staple right' brought. The role as leading Hansa town and the early development of the trade fair business also led to further influence and prosperity. Impressive city gates and ruins of city walls line the "Ring" and the Museum of the City of Cologne houses other "historical artefacts". In 1288, Cologne citizens assumed political power after the military victory over the archbishop and town rulers, paving the way for the city's later establishment as a free imperial city (1475). In 1388, the citizens of Cologne founded the first city university in Europe, and it is now one of the largest universities in Germany with over 44,000 students. Until the Middle Ages, Cologne was one of the most important trade centres in Europe. However, its excellent economic and political position suffered after the discovery of America, and with the introduction of new economic systems and trading channels, this continued into the 19th century. In 1881 work began to demolish the city walls. This made it possible to extend the city for the first time since the Middle Ages, leading to the development of the ring road and new town. With the Industrial Revolution and the incorporation of large parts of the surrounding area, Cologne became an industrial city. During the Second World War around 90 percent of the inner city was destroyed. By the end of the War, only around 40,000 people were still living in the city area. After initial thoughts of giving up the old area, work began in 1947 to rebuild the Old Town. Post-war architecture still characterises the face of Cologne today. The Rhine metropolis is now the fourth largest German city and one of the most prominent travel destinations in Germany and Europe. The Cologne museums rank amongst the best in the world and have enormous appeal for cultural tourism. Cologne is also becoming increasingly popular as a city of music and events. Every year the Koelnmesse is home to around 55 international trade fairs and welcomes more than two million visitors. In addition, the shopping streets, shopping arcades and variety of restaurants have continued to attract more and more visitors over recent years. A particular highlight in the annual calendar is the Cologne Carnival, held in February or March and enjoyed by hundreds of thousands of people every year. The half a dozen Christmas markets selling different wares also attract many visitors to Cologne during the Advent season. Even in the 21st century Cologne is still a favoured destination thanks to its central location. Today, as in Roman times, the city is one of the most important traffic hubs in Western Europe: all high-speed trains stop here and travellers can fly to more than 130 destinations around the world from Cologne-Bonn Airport.